I hung up my pilots goggles and scarf figuratively speaking in 2003. 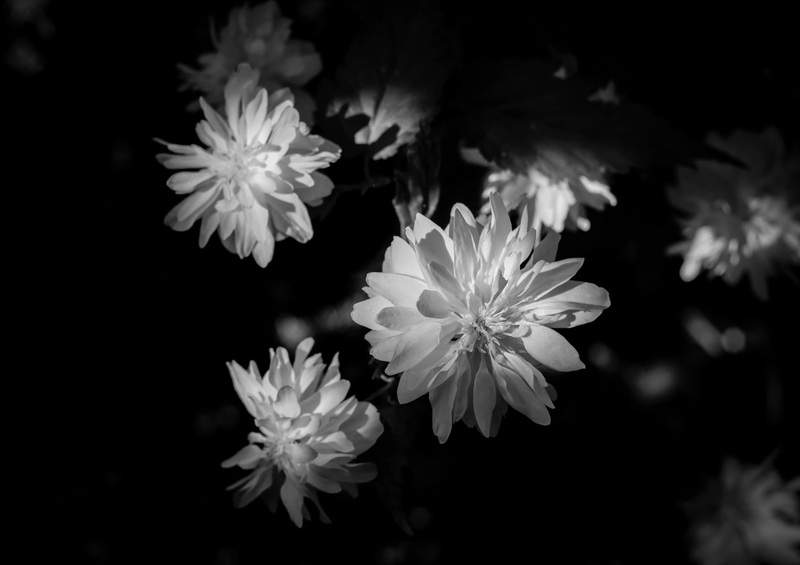 With a young child I no longer had the spare time to disappear all day a couple of times a week. I sold my share in our faithful old Piper Cherokee 140 and still recall the sadness I felt as I handed the keys over to the new owner. 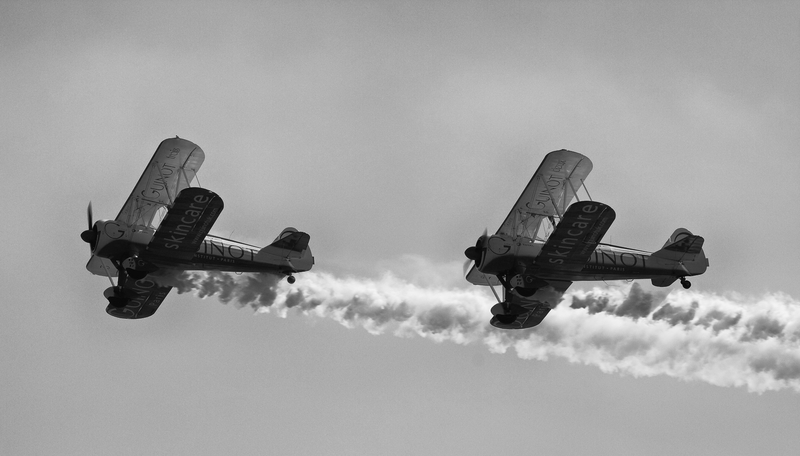 I decided at the time that it was final and that I would not be returning to the skies. Most of my flight related gear went to charity or other pilots. 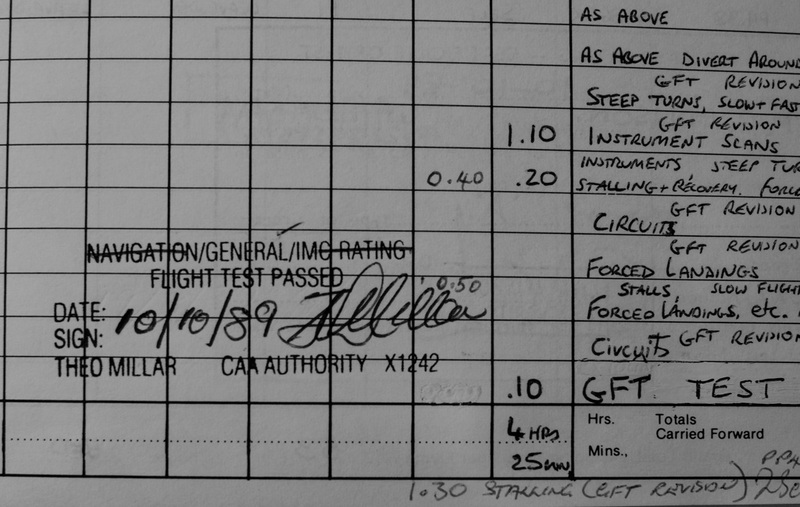 I still have my License, my logbooks and, of all things, my Whiz-Wheel (circular flight planning slide-rule). One thing leads to another or so it seems. Watching Truck Sim videos on YouTube, I guess it was inevitable that I would eventually stumble on videos of flight simulation programs. Back in the days when I was actually flying I tried out Microsoft Flight Simulator 2002 and found it sadly wanting. About the only thing it was good for was practising instrument navigation. None of the visual cues I use for landing were present not least because the scenery was rudimentary. I suspect for non-pilots this was not an issue hence the popularity of the program, which continues to the present day with the latest FSX version. I was watching a review of a new Ford LT9000 mod for American Truck Sim last week and the publisher’s next video was about a flight from Brisbane to Gold Coast using X-Plane 11. I was immediately impressed with what I saw and I went looking for other videos of X-Plane. 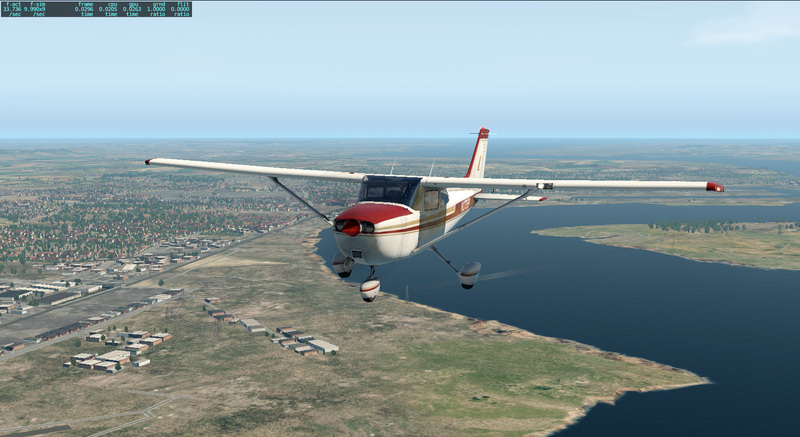 After watching a few I was hooked – This modern flight sim is very realistic and looks great. So I bought it and I will now be flying aircraft as well as spaceships! 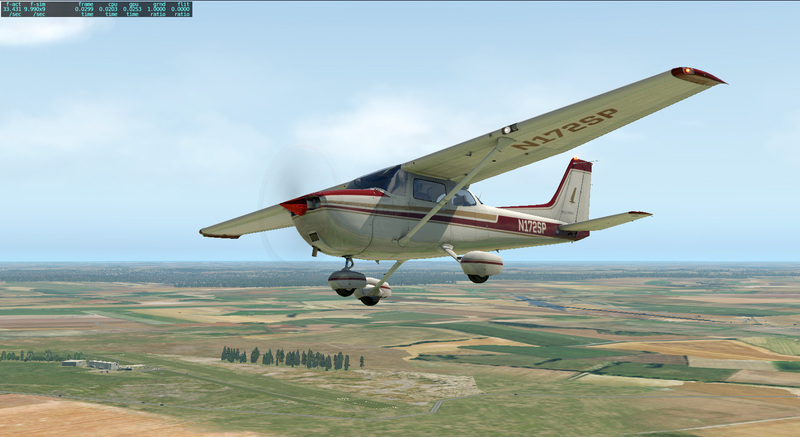 The game comes with several aircraft installed ranging from the ubiquitous Cessna 172 and Boeing 747 to the esoteric Cirrus Vision SF50 light jet. I’m going to treat myself to a Cherokee 140 mod and I will be flying that aircraft a lot. 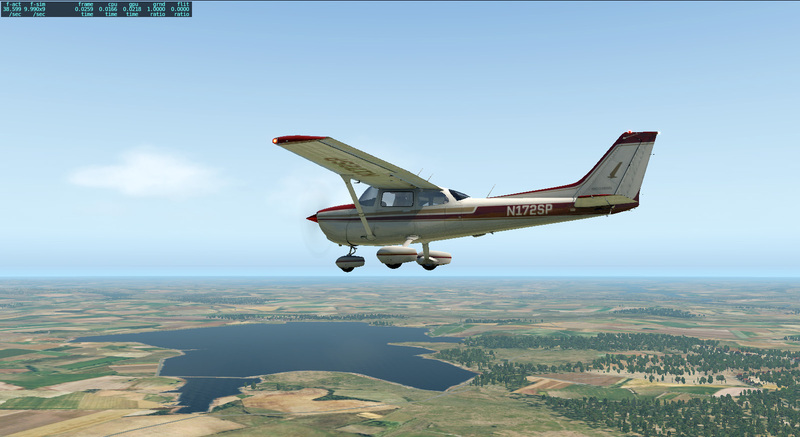 But to start with here are some shots of the Cessna 172SP that comes with the game. They were taken on a local trip from Andrewsfield (where I was based) to the Thames and back. 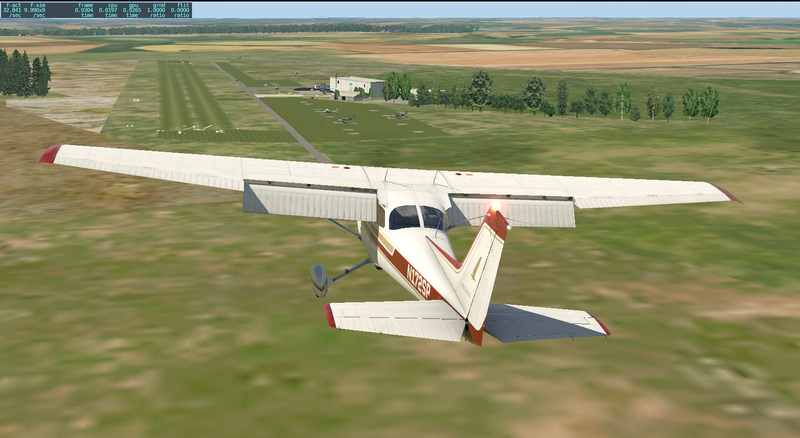 You can check out X-Plane 11 here. 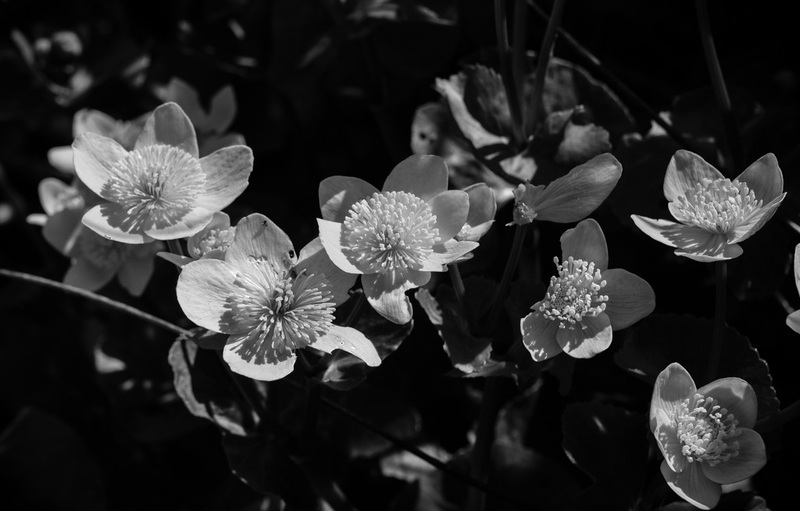 Catch up with Cee’s B&W Challenge and other entries Here.